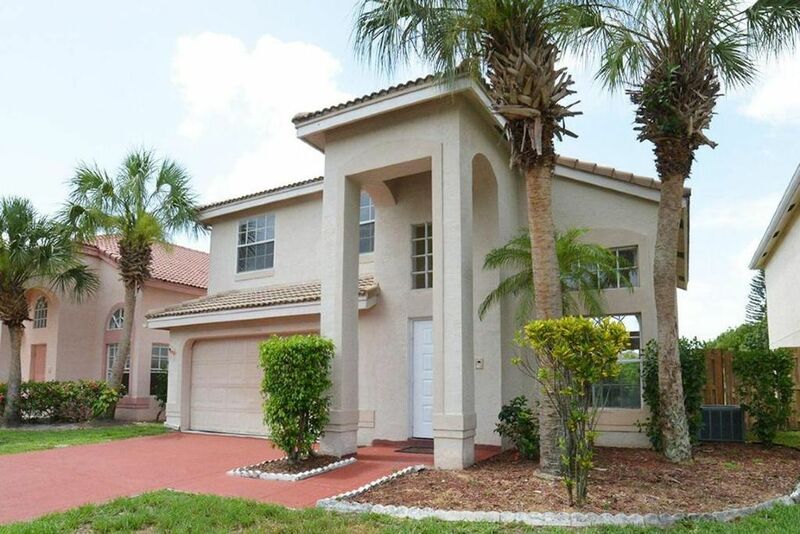 Bright, open, 3 bed/2.5 bath, 2 car garage home in the lovely West Boca manned-gated community of Meadow Lakes! This home boasts large windows, a serene lake view, and a fully fenced yard. Open kitchen to family room and breakfast area. All bedrooms upstairs. Spacious master suite. Master bath has dual sinks, separate shower and garden tub. Laundry inside. Enjoy the community pool, playground, tennis and basketball courts. Low HOA. Top A-rated Boca schools. Conveniently located close to hospital, shopping, entertainment and highways. Directions: 441 south of Palmetto. Meadow Lakes entrance on west side.